Crab Island. It’s where the locals go when they want to spend a day on the water. 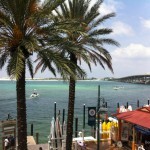 Not really an island at all, this popular Destin gathering spot is actually a submerged sandbar. Located on the bay side of Marler Bridge, the sand bar is covered in shallow water that ranges in depth from 2 to 10 feet. It’s a great spot to anchor a boat, visit with friends, and cavort in the surf on a hot summer’s day. Crab Island on a Friday afternoon at high tide. During the summer, there’s always something going on — football, volleyball, frisbee and other water games — plus, it’s the ideal spot for swimming and snorkeling. Kids will enjoy having a net and goggles for finding hermit crabs. There’s also a giant water trampoline, water slides and floating obstacle courses, accessible for an hourly fee. 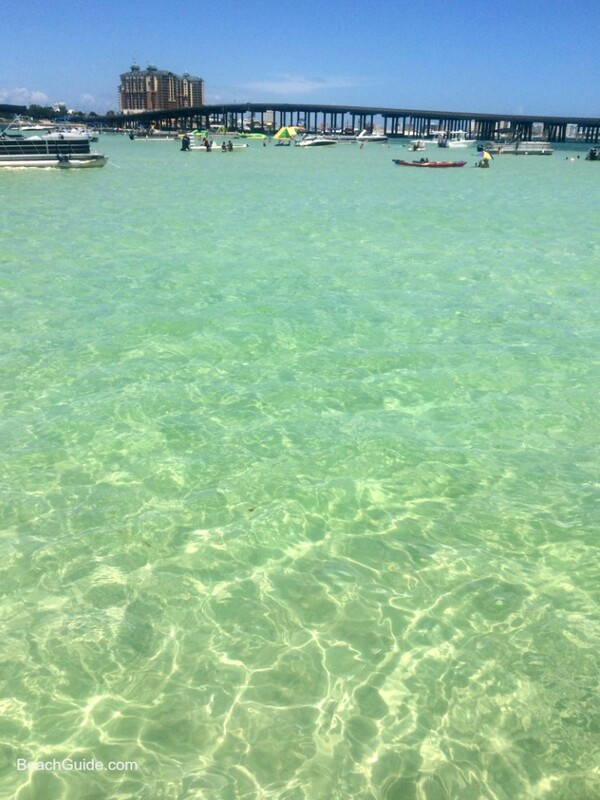 The water at Crab Island changes with the tides. For the clearest water, check this Destin tide chart and plan your trip during high tide, when the water is moving from the Gulf to the bay. When all that fun in the sun works up an appetite, there’s no need to head back to land. A restaurant/snack barge brings the food to you, serving burgers and munchies. 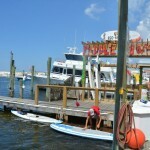 Vendors in boats also sell ice cream, boiled peanuts, hot dogs and souvenir T-shirts. Crab Island is easily reached by boat or Jet Ski. You can either rent your own, or sign up for an excursion with one of the local captains. 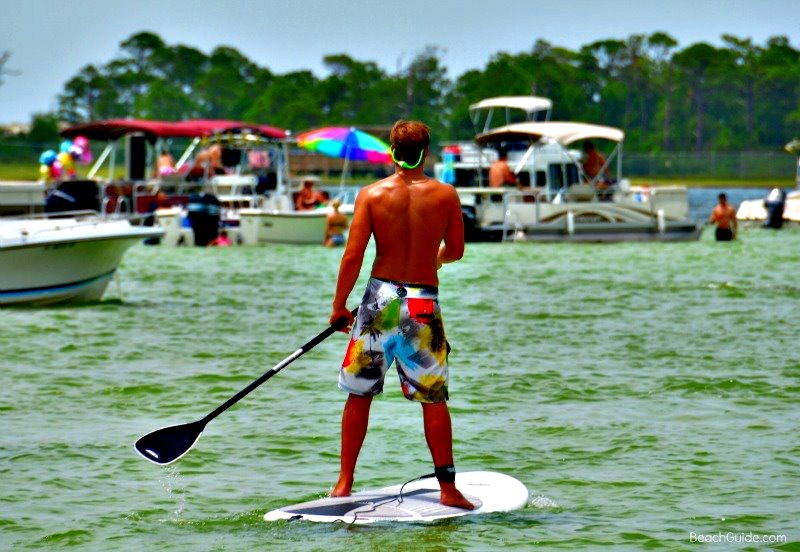 To rent a boat, sign up for a charter, or see what other fun activities Destin has to offer, just click on our link to Destin Recreation. 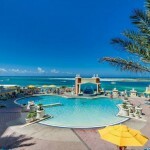 For places to stay, and a list of local restaurants, check out Destin Vacation Rentals and Destin Restaurants. 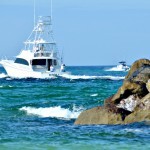 Fishing is King in Destin! I do not know if it’s just me or if perhaps everyone else encountering problems with your website.